Located in the pretty Cyclades, Greek’s favorite holiday islands that only seem to be rising in popularity each year, Mykonos has all the ingredients of a perfect vacation; tiny white alleys with blue balconies framed by fuchsia bougainvillea, paradise like beautiful beaches, delectable Greek cuisine (and wine) that begs for indulgence, super-luxurious resorts that offer Jacuzzis overlooking the sea, a raging nightlife that appeals to party-lovers, glamorous fellow island inhabitants, and sweet sunshine even as late as early October. The shoulder season is actually a great time to visit the island- it’s not as crowded as it can be in summer which means that hotel rates are way more affordable. You do still need to book in advance as there’s usually a large number of tourists visiting from the Middle East during local holidays. Here are the top things to do in Mykonos for two days, followed by suggestions on where to stay in Mykonos. Here’s a short video of our highlights from two days in Mykonos. If you like it, please feel free to give it a thumbs up, share and subscribe to my channel. If you’re wondering about what to do in Mykonos, the Old Town should be your first stop. Chora or the Old Town is the lively center of activity on the island and wandering around its lanes is one of the coolest things to do in Mykonos town. The town center is a maze of narrow whitewashed alleys and bright blue and pink balconies characteristic of Cycladic towns. You’ll see churches, homes, restaurants, pubs and shops. Take your time and get lost in these lanes, sit down for a Greek Freddo (especially good under the hot afternoon sun), and people watch in the lively center. Of course, this is also where it hits you just how commercial the island is- the likes of Prada and Gucci make an appearance, which is not surprising given that Mykonos sees rich holidaymakers from all over the world, especially the Middle East. The town is definitely more likeable in the day, just as the sleepy party island is waking up post 11.00am and the narrow streets are not as crowded. 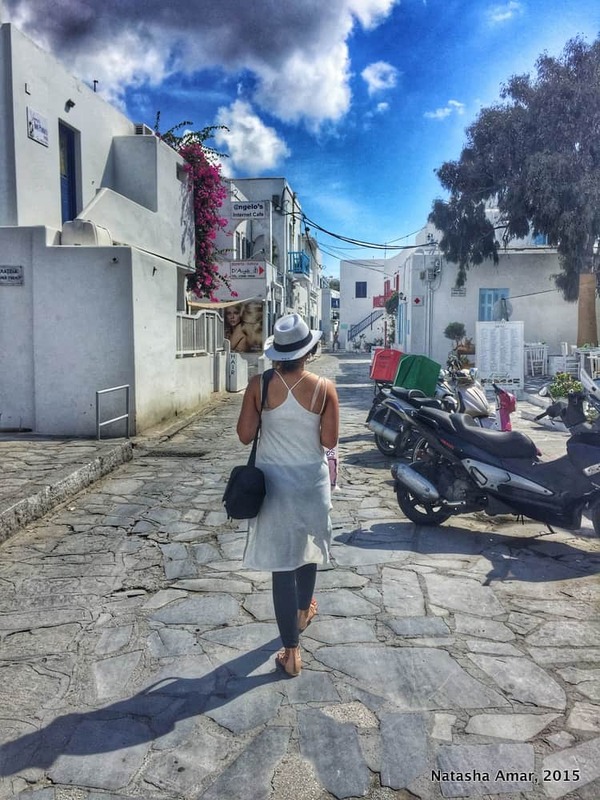 You could also take this walking tour of the town with a local to learn all about the history of Mykonos and visit all the important sights, while also enjoying local wines and delicious mezze on the tour, all for a price that is a steal. 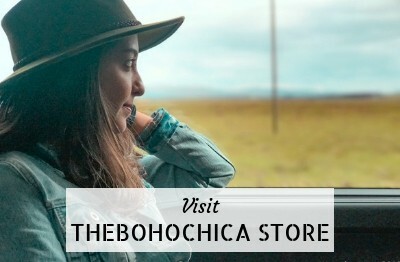 If you like to shop, there’s a whole range available here from very expensive brands and boutiques to lower end bohemian styles. If you love hats like I do, you’ll find yourself spoilt for choice with hats that are more pieces of art than accessories. 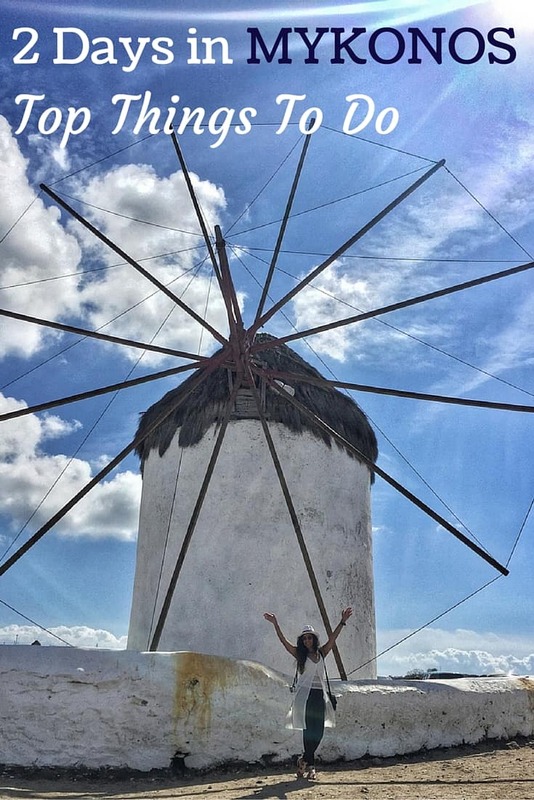 Get the obligatory windmill photo close to Little Venice because if you haven’t done that, have you even been to Mykonos?! 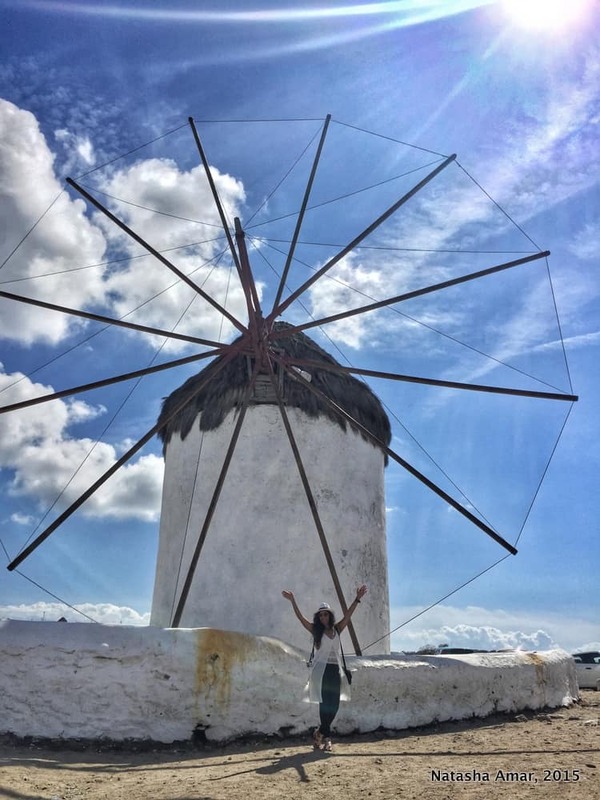 You can easily walk from the town center towards the waterfront, one of the most beautiful places in Mykonos, and you’ll see the windmills (and the crowds of tourists waiting to take a photo, yes, even in the shoulder season). These were built in the 16th century and feature on many photos, postcards and paintings of Mykonos and once you see them for real, it’s easy to see the appeal. The windmills haven’t been used for a long time and around the island, some of these have even been converted to private homes, museums and Airbnb apartments for tourists. They overlook the waterfront and the whole setting is kind of romantic. Mykonos is home to many beaches, some known for their outrageous parties, some catering to predominantly gay tourists, and some family beaches- so ask around and choose accordingly. A ten-minute drive from the town center, Psarou Beach is definitely one of the nicer beaches, suitable for couples and families. Paradise Beach is for the party-goers. Paraga Beach, home to the posh Scorpios beach bar is also quite famous. 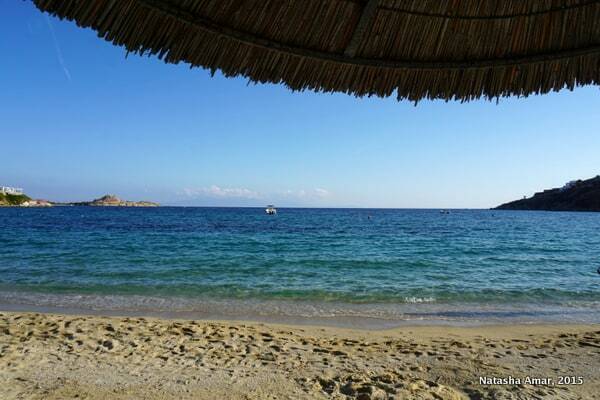 Platis Gialos has beautiful blue waters and you can go snorkeling here as well. Spending an entire day working on your tan and just living the beach life is not a bad idea at all. You can also take this beach-hopping tour in Mykonos that is great value for money and helps you explore the best beaches on the island. Alternatively, head to Platis Gialos to take ferries to other beaches around the island or explore the beaches on your rented ATV. N’ammos, a posh restaurant right on Psarou Beach, is known for hosting the best daytime parties and makes for a lively afternoon of good (even if overpriced) food, drinks and music that will get you up and dancing. 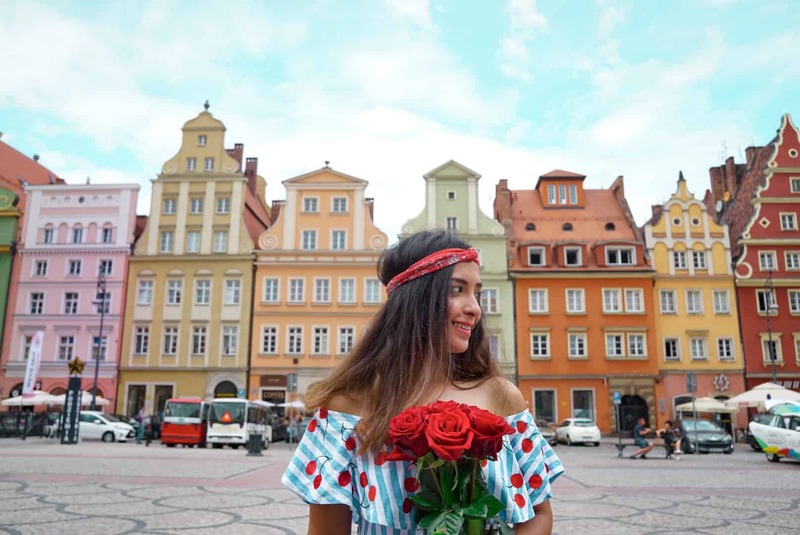 The waterfront at Little Venice is dotted with bars and restaurants housed in colorful buildings, and though it can get very busy around and after sunset, waiting is totally worth it. It might be hard to find more romantic things to do in Mykonos than to witness a Myconian sunset than with wine and soft music at one of the bars on the strip. Alternatively, head to the poolside lounge at Bill & Coo Suites to enjoy another spectacular sunset view by a pool that sparkles at night. If you ask me what to do in Mykonos, or what to do in Greece, I’ll probably lead with “Eat a lot” in shameless display of my love for Greek food. 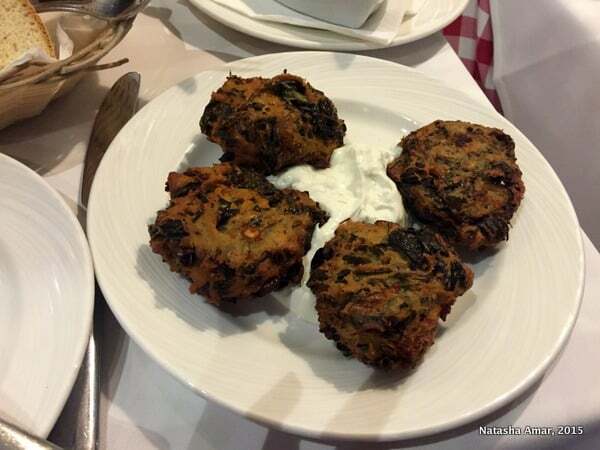 Greek cuisine has all the Mediterranean goodness that I had imagined and then some more. The food has the potential to blow your mind, regardless of which part of the country you’re in and Mykonos is no exception. Think simple, fresh ingredients, prepared in easy and classic ways sure to impress food lovers and you pretty much get the idea. If you want to learn how to cook the cuisine, take a cooking class in Mykonos. For good food at a reasonable price, head to Nikos Taverna in the town center where you’ll dine under the stars, right in the bustling center of Hora. You might have to wait as this place is really popular, but the food is great and the price is agreeable by Mykonos standards. Try the seafood options- the swordfish and mussels preparations are almost always a hit in the Cyclades. If you’re feeling more like fast food, then stop by Jimmy’s Gyros for a gyro wrap full of juicy meaty deliciousness. The place is very popular with partiers who amble out of the clubs and bars in the area for an after-hours meal. If you want a more local experience, consider this lunch or dinner experience in Mykonos with a meal prepared in a local home by a Myconian host, the Greeks are known for their legendary hospitality! It’s not without reason that partygoers flock to Mykonos- the nightlife in Mykonos is legendary, especially during the summer months and even as late as September. Dancing is simply one of the best things to do in Mykonos at night. N’ammos and Paradise Beach Club are both great places to party and Skandinavian Bar in the town center enjoys quite the party crazy reputation. We visited during late September and most beach clubs including Paradise Beach were shut, but the Skandinavian Bar had people queuing up for hours to get in. Another bar with a cool vibe (also in the town) is Argo, and I can only imagine that there are plenty of options during the livelier summer months when parties go on till sunrise. If you have any time left after hours of beach-bumming, shopping, partying, enjoying sunsets and having a generally awesome time, you might want to explore other parts of the island riding an ATV or bike (both available to rent for cheap), though I’d totally understand if all you wanted to do was lie on the beach. 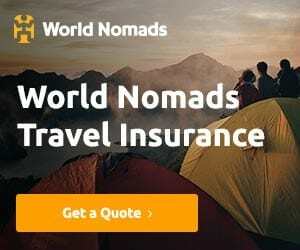 Alternatively, you can also do this BBQ and drinks tour of Mykonos on a catamaran, over 6 hours, that is good value for money if you’re in a group or a full-day jeep safari exploring the entire island. 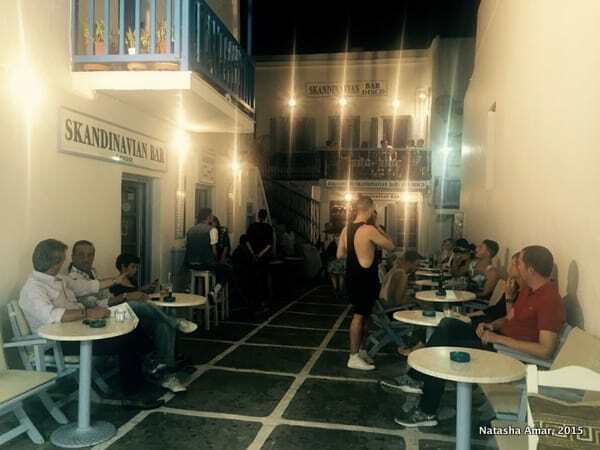 Between 1st June and 30th September, catch a movie at the lovely open-air cinema at Cine Manto, a green sanctuary in the heart of Mykonos town that hosts cultural events and has a great garden cafe-restaurant to grab a bite or enjoy a leisurely meal. You can check out daily movie schedules and happenings on the website. 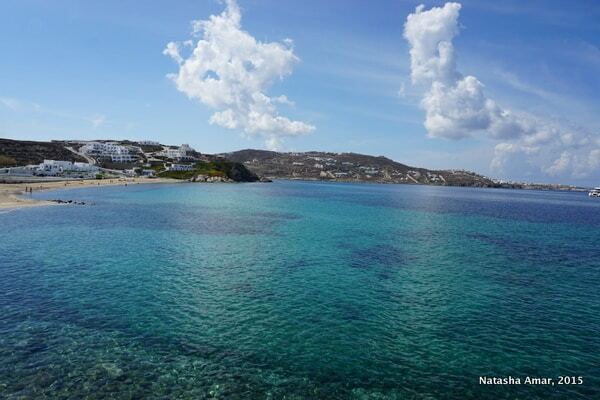 Wondering what to do in Mykonos after you’ve spent two or three days seeing the main sights? If you have more time in Mykonos, it’s a good idea to take a day trip and visit other islands such as Paros, Delos, and Rhenia. You could do a yacht cruise, customized completely or do a guided tour of Delos, in the morning or evening. Delos is a UNESCO World Heritage Site, the supposed birthplace of Artemis and an interesting archaeological site in Greece. Sailing in Greece is a great way to see the amazing landscapes of this gorgeous country. 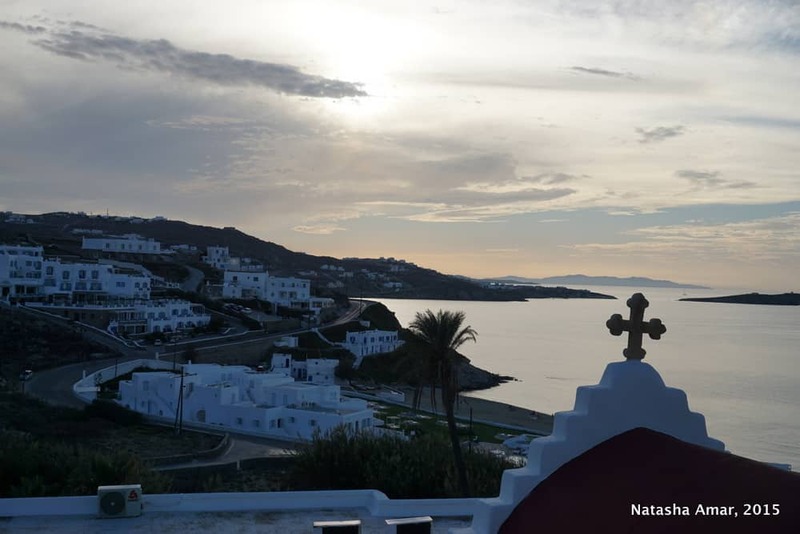 Read about the island of Serifos in Greece. Bill & Coo Suites and Lounge A gorgeous boutique hotel close to the Old Town (walking distance) with great suites, impeccable service, an exceptional restaurant, pool overlooking the sea, and picture-perfect sunset views. Read my review of Bill & Coo Suites & Lounge. Mykonos Blu Grecotel Exclusive Resort A beautiful resort with whitewashed villa type architecture typical of Cycladic villages, ultimate luxury, great service, indulgent suites, restaurants, located on one of the island’s best beaches, right next door to the famous Nammos Lounge, perfect for couples but also with a great party vibe. The infinity pool here is truly amazing. Read my review here. Semeli Hotel Mykonos Located close to the windmills of Little Venice and Old Town, this hotel has a nice pool, spa, amenities like Jacuzzi and fitness center and an Italian restaurant. Poseidon Hotel Suites Bright colorful rooms, nice pool, convenient location close to the Old Town and Little Venice. Olia A great little 3-star hotel with a nice pool, pretty accommodation, good service, and a fantastic location close to the Old Town and the windmills of Little Venice. Matina Hotel Mykonos Good place to stay, comfortable, has everything you need to enjoy a Mykonos vacation on a budget and is close to the Old Town. Hotel Carbonaki 3-star accommodation, comfortable, modern, has a spa and is a short stroll to the old town and Little Venice. You can take a ferry from Athens to Mykonos; multiple daily ferries depart from one of Athens’ two ports Piraeus and Rafina. A high-speed ferry will get you there in 3 hours while a regular ferry will take around 5 hours. Blue Star, Hellenic Seaways and SeaJets ferries are the companies that operate ferries between Athens and Mykonos as well as between Mykonos and other islands. Ferries also operate from Santorini to Mykonos and back. Schedules are seasonal, so it’s best to check online and book in advance (at least a month during peak season). You can also fly from Athens to Mykonos (flight duration- 30 minutes) but it might be cheaper and on a high-speed ferry even faster to take the ferry instead. If you’re traveling during summer or even the shoulder season, come well-prepared for the warm Mediterranean sun. Ladies, bring your cute sundresses, maxi dresses and skirts, as well as pretty dresses for romantic dinners and dancing. Gentlemen, bring t-shirts and shorts for the day, but also pack some smart shirts and trousers for the night. Of course, don’t forget lots of sunscreen, sunglasses, sandals, a hat, and comfortable walking shoes/sandals. Have you been to Mykonos? What would you add to this list and what were your favorite top things to do in Mykonos? Heading to Athens? 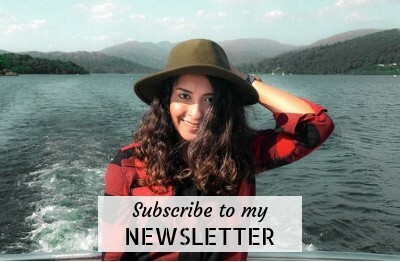 Check out this food tour of Athens to eat your way around the city and read about the mystical monasteries of Meteora. This post contains affiliate links. 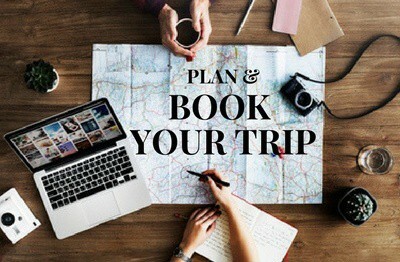 This means that if you book hotels or tours using a link on this post, I get a small commission at no extra cost to you, which keeps this site running. 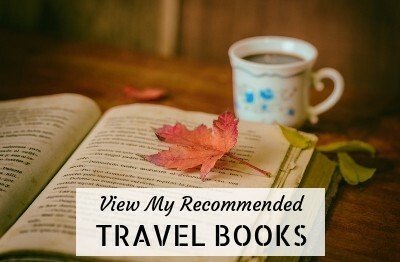 As always, I don’t recommend hotels or tours that I haven’t or wouldn’t book myself and do a lot of research to ensure my recommendations offer good value for money and have great reviews. This is quite an amazing blog post! Near Mykonos is Delos, will rent a boat to Mykonos and will cross over, about 25 minutes journey! Worth a visit! Sat two days and did a short tour on the island of Mykonos, Wonderful! Have fun on your trip Elena! What a lovely place to visit, looks a lot nicer than Kos which is the only place in Greece we have been. We really need to get back over and see these wonderful places to change our mind about Greece! There are so many Greek islands to explore and I’ve only seen two, and Mykonos wasn’t my favorite- I did love Paros though. The old village and little Venice look fab! One of the things that I like in Greece is that, the people there loves to sing and dance! When I visited Greece (in Crete) last summer, the hotel entertainer asked me to join him in singing and dancing! Everyone had a great time that night! Mykonos looks lovely and I love those windmills! The Greek, in general, are a jolly lot. I hope to visit Crete in the next year. Absolutely love strolling the old towns! Although I have to say my favorite Greek Island is Santorini. The Greek food is my favorite in the world. Great list, glad you had a great time and looks like you really made the most out of two days. 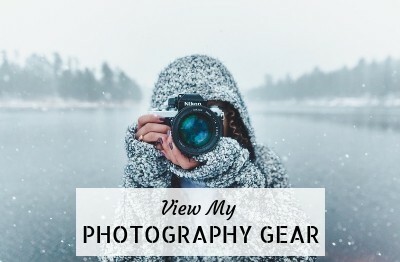 Some great photos here! Thanks so much for putting this together. Will be very useful for my next Greece adventures! As if I needed any more inspiration to visit Mykonos! Well now I’m just itching to go, thanks for the tips! I’ve never been to Mykonos, is sounds like my kind of place though. I must admit I LOVE people watching so just people watching in the old town sounds like my idea of heaven. The beaches don’t sound to bad either! I’ve seen recommendations to explore Mykonos using an ATV before but I still cannot imagine riding an ATV along the small lanes and back alleys which are what I usually see on photos and postcards of Mykonos. What more when it’s high season and full of tourists walking around? Or is the ATV just for some actions on the beach? The ATV is good to get to some of the beaches far apart. While visiting the town, people park their ATVs outside and walk into the narrow lanes. Really beautiful photos. I watched the video and I loved how you got all that in 3 minutes. Mykonos is a really beautiful island with great food, wine and party! Hi Natasha, I enjoyed this post and photos. I have never been to Greece and would love to plan a visit. Mykonos sounds and looks lovely. I appreciate the family-specific suggestions re: beaches. I was wondering if two days is sufficient and noticed that you recommended two days in response to Leanna. Thanks for sharing this interesting post. Thanks for the comment Nancy, two days or three are plenty in Mykonos. We just did Mykonos on a quick stop w/ a cruise. We still got a lot of these things in, even on the short time there, but like anywhere in the world, I know it would have been even better to have been able to slow down, take in each section more thoroughly and REALLY enjoyed the island!! I do think 2 days is good enough time to see Mykonos- especially if you’re the type who can only party so much (like me). I have been to Greece many times, but never to Mikonos. I am actually not sure I would pick that island if I had to go again, but I suppose that the idea of going in the shoulder season is good. As you said, it gets really busy and that is what stops me! I also visited Paros and loved it- way more than Mykonos if I say so myself- I think you would like Paros- it’s calmer and more beautiful. Yeah and the weather is still great in September! Never been to Greece so far but I really like these sunny countries! Beautiful video there, Natasha. Lovely place!